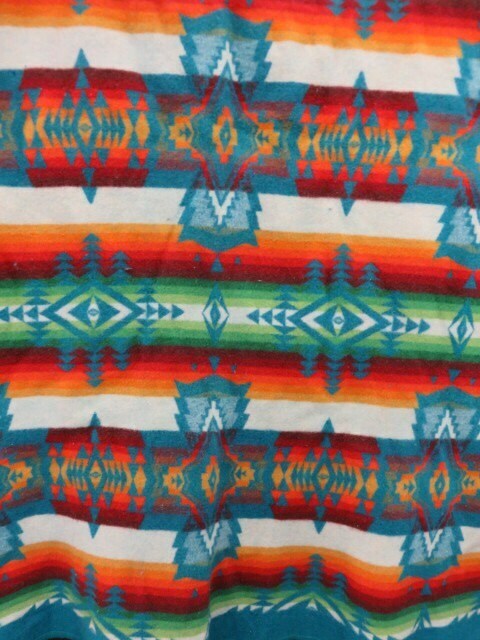 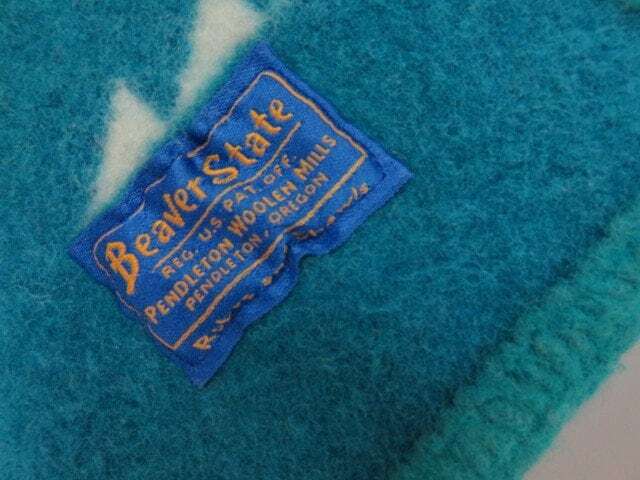 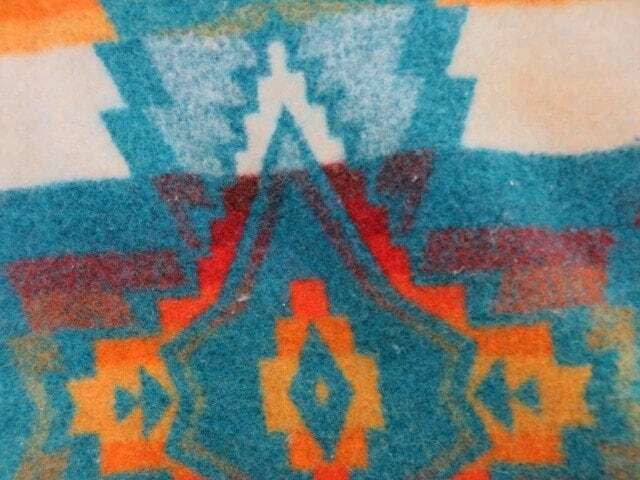 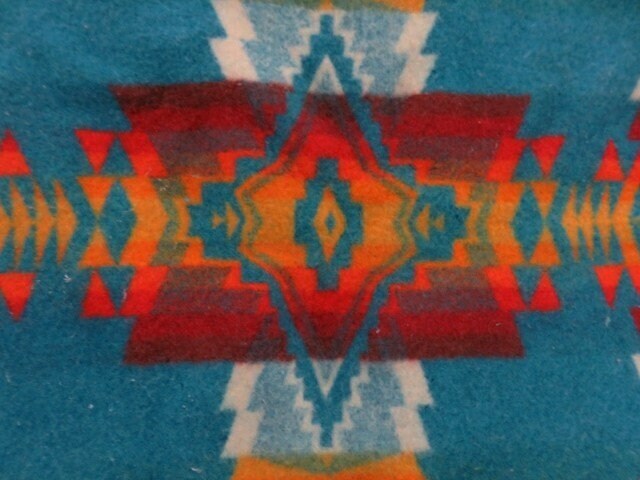 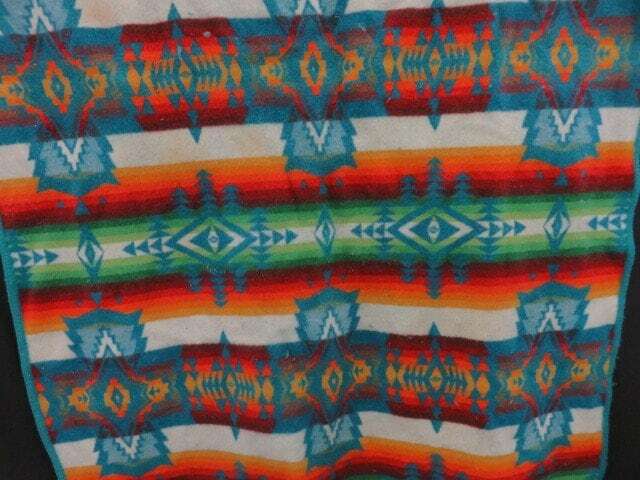 Gorgeous, bright colors (turquoise, orange, red, green and white) on this desirable Pendleton Beaver State Indian Trade blanket. 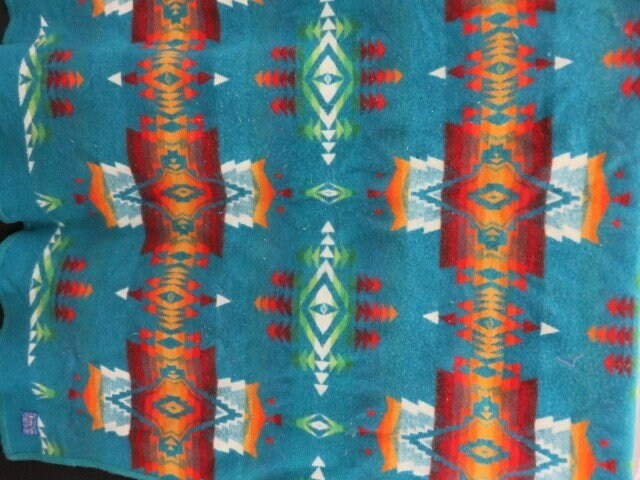 Approx 44x69. 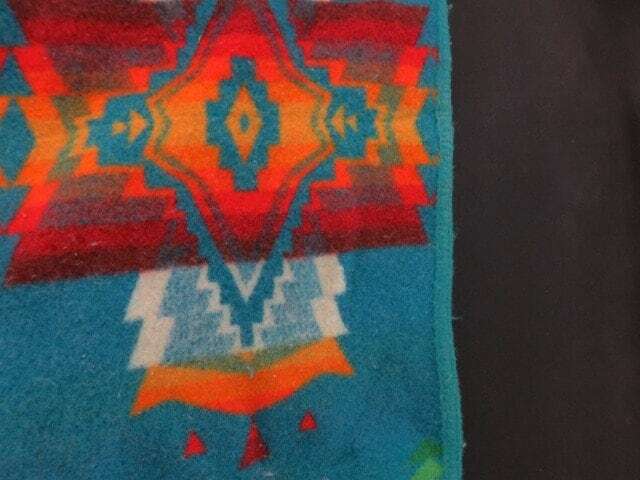 Circa 1970s (post 1972).